Heterodyne balanced photodetector is widely used in advanced OCT systems, fiber sensor applications and R&D research labs. 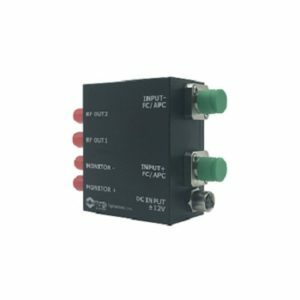 The excellent signal to noise ratio, CMRR, high conversion gain and various bandwidth options provide customers with high performance, ease of installation and cost effective solutions. Coupled with Optowaves interferometer modules, the integration becomes even easier. The photo detector module is fully enclosed in a compact sturdy case and magnetic shield built inside for further protection. It has two optical inputs, one balanced RF output, two monitor outputs and one ±12V DC power port. 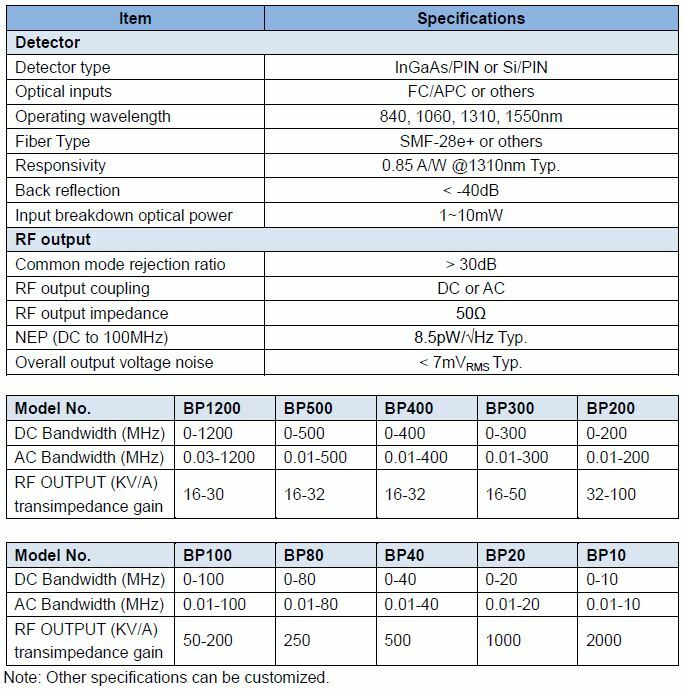 Bandwidth can run in various options from DC up to 1.2GHz.